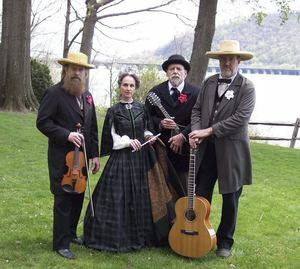 Susquehanna Travellers plays traditional American folk music, with a focus on the music of Civil War. 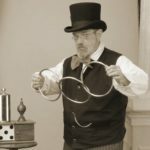 They have been playing throughout the Mid-Atlantic region for more than 15 years, and in that time have developed a reputation for excellent musicianship and a unique acoustic sound. 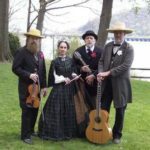 Susquehanna Travellers has had the privilege of performing at some of our country’s most prestigious venues including the Smithsonian Institution, Arlington National Cemetery, the Congressional Medal of Honor Society National Convention, and Harpers Ferry, Antietam and Gettysburg National Military Parks. 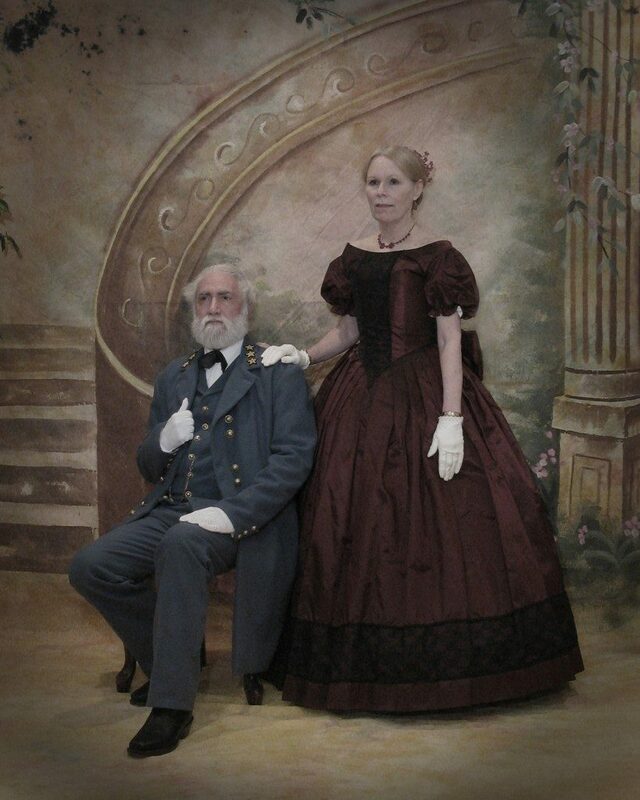 General and Mrs. Robert E. Lee are brought to life by living historians Frank and Bonnie Orlando. US Army when it was offered to him in April of 1861. This gang of American Outlaws was well known in the 19th century. 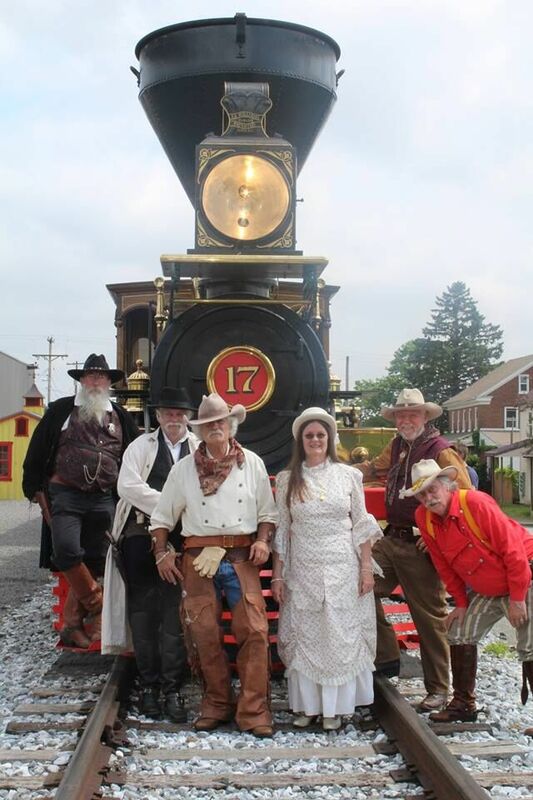 The group included the notorious Jesse James and the Younger brothers. 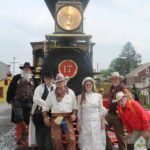 Today this gang is led by Mike Hall and a great group of men and women who bring fun and humor to their “train robbery” experience. Fake riches will be provided to the passengers, but the gang will also be robbing for charity. 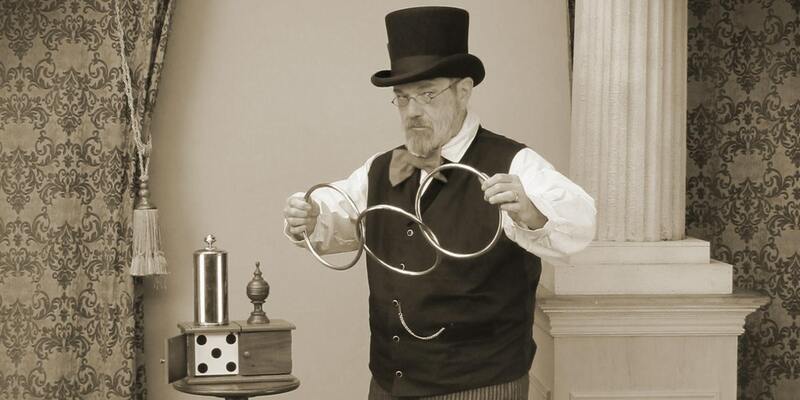 Mr. Hayney will join us in June, October, and November . He is legendary and very popular with our riders! MuZette, Cello & Flute: Since 1992, the entertaining husband & wife team of Tom & Laurie Reese have fused their diverse backgrounds into a unique style. Improvisation is key to their performances. Tom’s background is in jazz; Laurie has a master’s degree in classical cello performance. 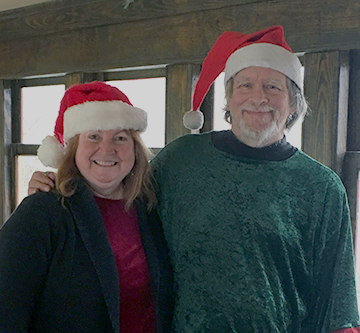 Tom & Laurie play music in many styles, from folk, classical, celtic, jazz, blues and more.  Traditional Irish & celtic tunes proved to be the initial meeting ground between Tom’s jazz experience and Laurie’s classical training. On the Tannenbaum train, they play traditional Christmas carols (sing along if you will!) as well as tunes not quite so familiar, mixed in with Bach and other classical & folk melodies. Born into enslavement in 1805, William C. Goodridge was sent to York at age six to apprentice as a tanner. At age 16 he was given his freedom. Goodridge left York and was trained as a barber. He returned to York in the 1820s. After opening a barbershop on Centre Square, Goodridge rose to prominence as one of York’s most successful businessmen. He expanded his store to include imported toys, candies, perfumes, hair remedies, and much more. He also became a property owner and developer, constructing York’s first 4.5 story building and owning up to twenty properties at one time. Goodridge began the Reliance Line of railcars, eventually providing service between York and Philadelphia. 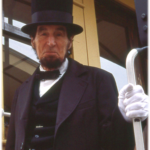 In addition to his business ventures, he also became prominent on the Underground Railroad. 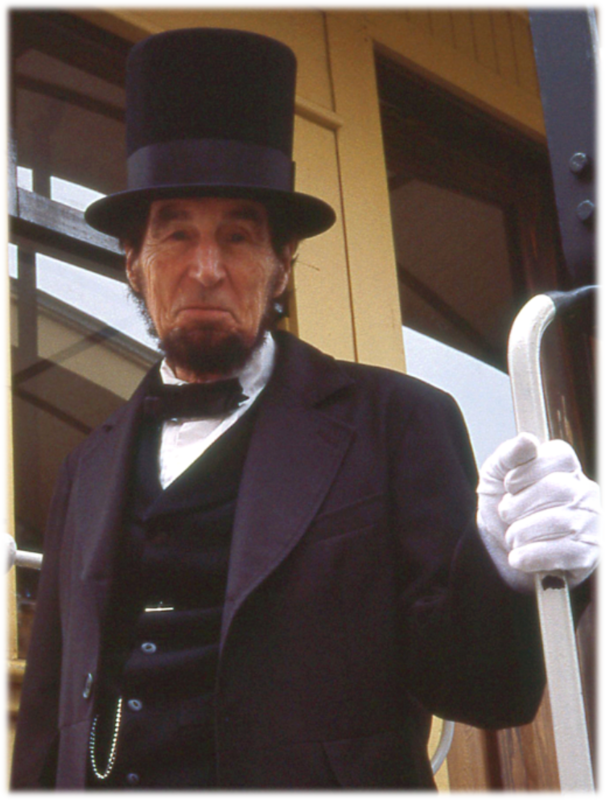 His properties, including his house as well as Centre Hall on the Square, served as stations. 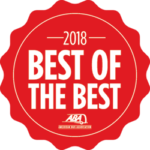 Freedom seekers were hidden in the root cellar of this home, which was accessible via a hidden door in the kitchen floor. The Goodridge railcars were also used to transport freedom seekers to safety. Goodridge was a notable York resident until the mid-1860s, when he left to join family members in Minnesota and thereafter Michigan. 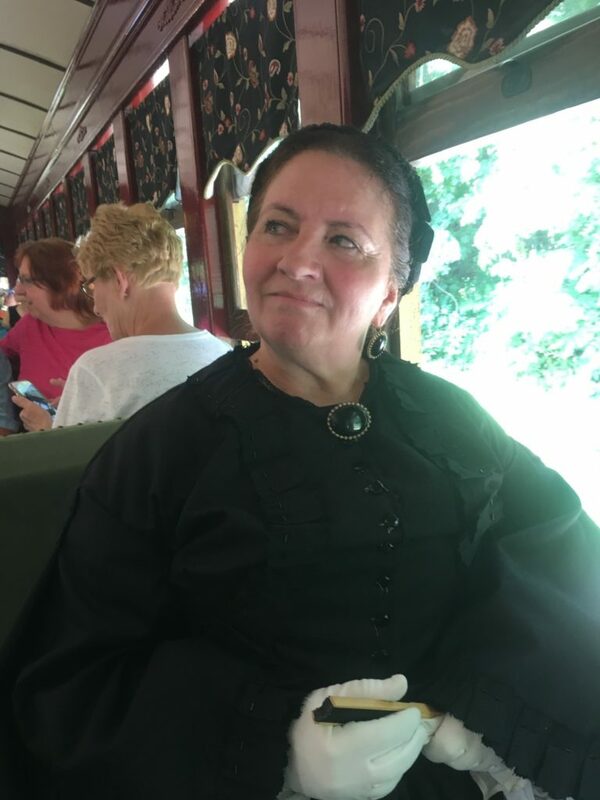 Kelly Summerford, who portrays William C. Goodridge, will narrate on the train and give the riders a first hand account of the experiences he went through being a prominent business owner during that time period. 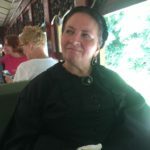 Living Historian, Sandy Brunt, will narrate about the life and family of Mary Todd Lincoln on No. 17. Sandy covers the story of Mary Todd, the “lost child” to Mary Lincoln, wife of the late President Abraham Lincoln. 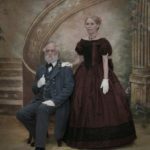 Mary, of Scottish decent and raised in a wealthy family in the South was a sought-after Southern Belle who, against her family’s wishes, gave her heart and hand to Mr. Abraham Lincoln. Mary, devoted wife, mother and First Lady, was plagued with tragedy. Come learn about Mary Lincoln, a misunderstood woman, who lived a life in the shadows of mourning.